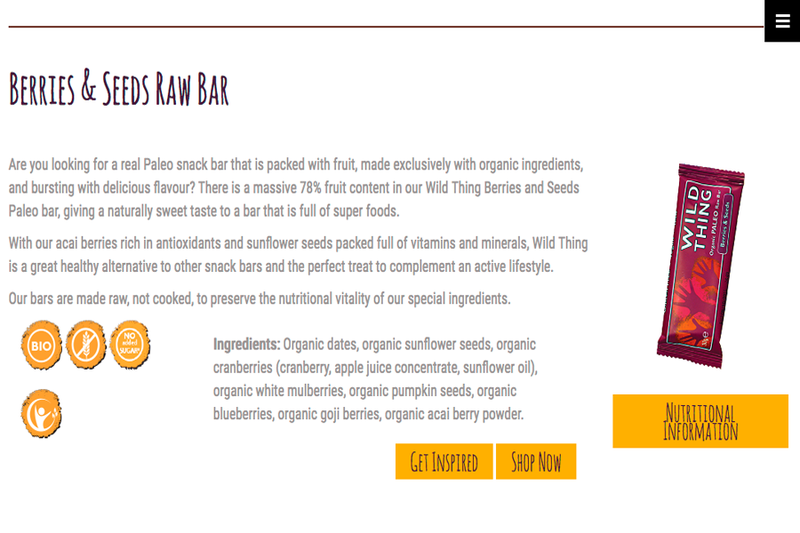 This week's website of the week goes to Wild Thing Paleo. 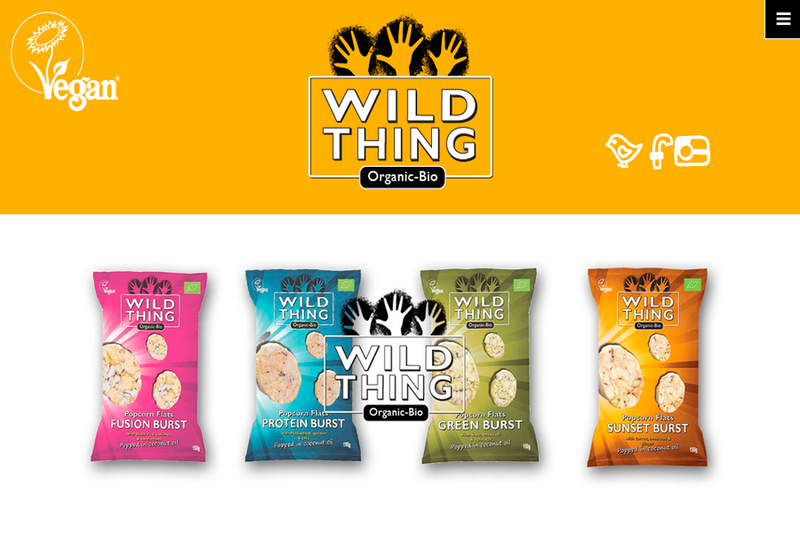 WILD THING is an organic and deliciously nutrient-dense snack and granola range that's full of vitality and natural goodness. Project Manager Natasha started by creating a fully responsive website, using the clients existing branding and imagery. The website features a vibrant colour scheme, using the bright yellow as the main header colour. The content of the site is on a white background to keep it easy to read and professional looking. The website features graphics on the home page that are clickable to other areas of the website, and also includes live Social Media feeds. The website links through to the clients shop website, that is featured on the Organic Delivery Company. 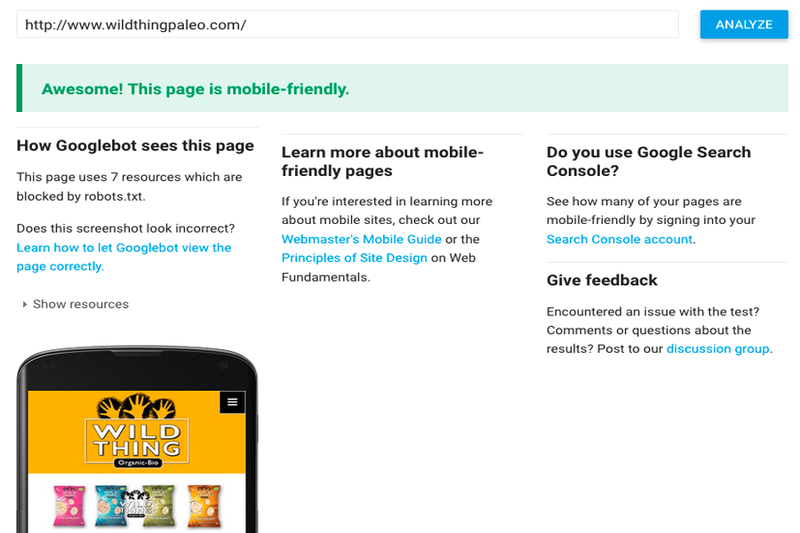 This means it's easy for customers to make the transition from the main website, to the shop. 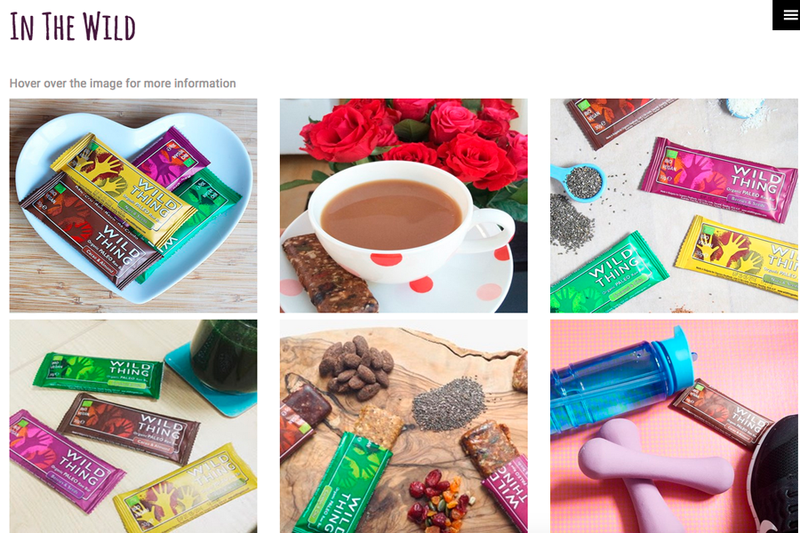 The website imagery is the clients own, and has been taken professionally which makes a real difference when it comes to showcasing your products on a web page. We’re on hand Mon – Fri, 9:00 am – 5:30pm by email or on our standard rate number 02380 633 644. When you buy a small business website from Toolkit Websites, we become your web team, with email and telephone support, and step by step guides. Contact us today. Did you know... all of our clients can update their own websites through the Toolkit!